Rochester Midland's Certified Green Housekeeping (CGH) Training Program is a necessary component to every building management program. It promotes health, safety, and environmental responsibility in the way cleaning services are performed. Once a building comes to equilibrium, materials of construction have off-gassed and the HVAC system has been balanced, the single greatest controllable impact on the Green Building environment is housekeeping and maintenance. Problems such as sick building syndrome are significantly impacted, and in many cases directly resulting from poor housekeeping and maintenance. Our Certified Green Housekeeping Training Program is focused on educating supervisors, workers and contractors about cleaning for health, improving current cleaning standards, understanding green products and equipment, and identifying areas for improvement in a Green Building. After completing basic training and completing the required open book test administered by a Certified Green Housekeeping Professional, workers will be recognized as Recognized or Certified Green Housekeepers. 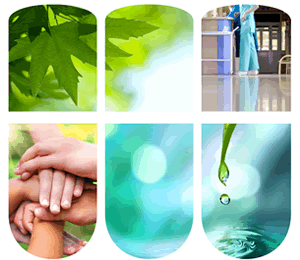 Contact us to learn more about Certified Green Housekeeping Training Programs.